A very simple and on trend way to update any strappy or sleeveless dress you may have is to add a t-shirt, shirt or top underneath it. You may have seen this style on many of social media’s brightest stars already, and with good reason. 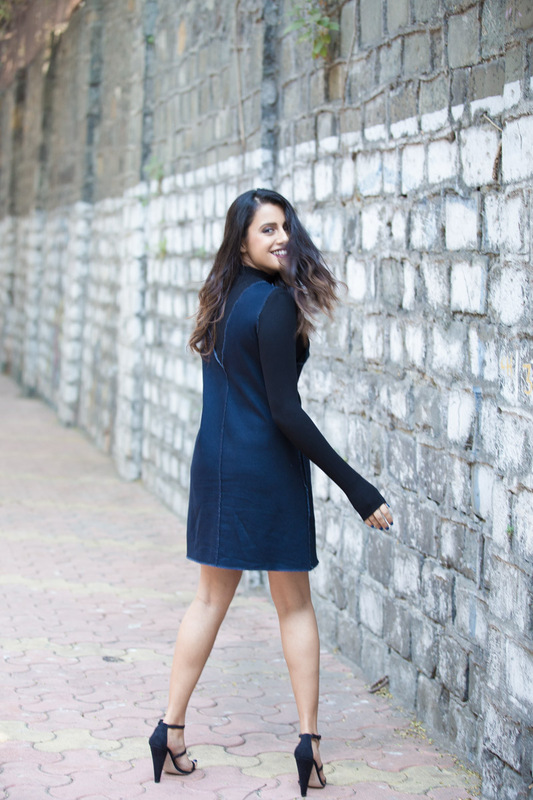 The layering makes it look modern and chic, adds warmth so you can still wear some of your favourite styles well into cooler weather, and dresses it up so it’s not as casual anymore. 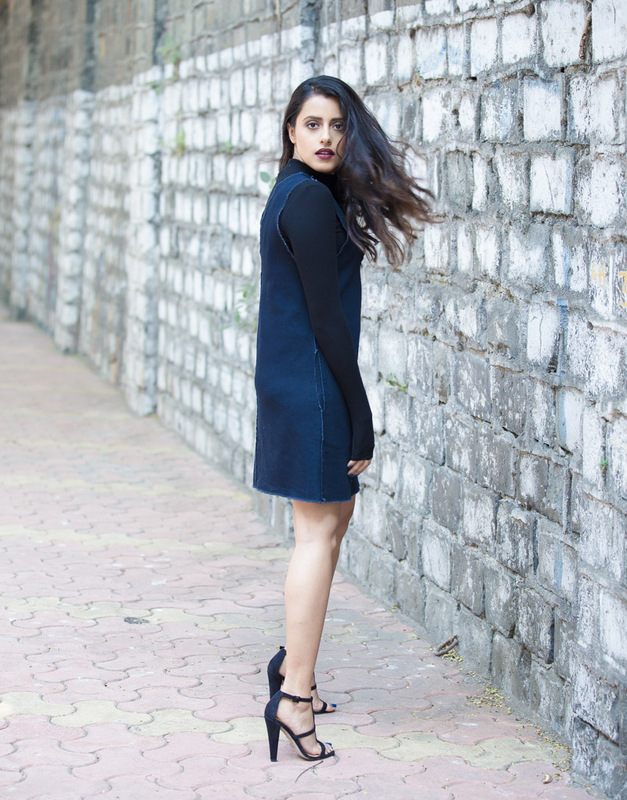 I’ve paired this denim shift dress from The Label Life with a basic black turtleneck, added contemporary linear high heels and a dark red, almost purple lip to finish it off. This look is perfect for those chilly nights when you’re out for drinks, the club, or even for a nice dinner. The almost tone on tone black accents paired with classic dark indigo denim is a winning winter colour palette and requires minimal effort to look dressy. The dark tones also have a slimming effect and the gives the illusion of longer limbs (which is always a good thing). With looks like these, I prefer to not add any accessories and keep it restrained with emphasis on the layers, the shoe and of course your hair & makeup. Layered denim can be restrained, classic and yet playful if done right. This is the final part of my collaboration on The Denim Story for The Label Life, and I had a blast styling their versatile and well-made clothing. You can shop this dress and a whole bunch of other cool pieces on their website- www.TheLabelLife.com. 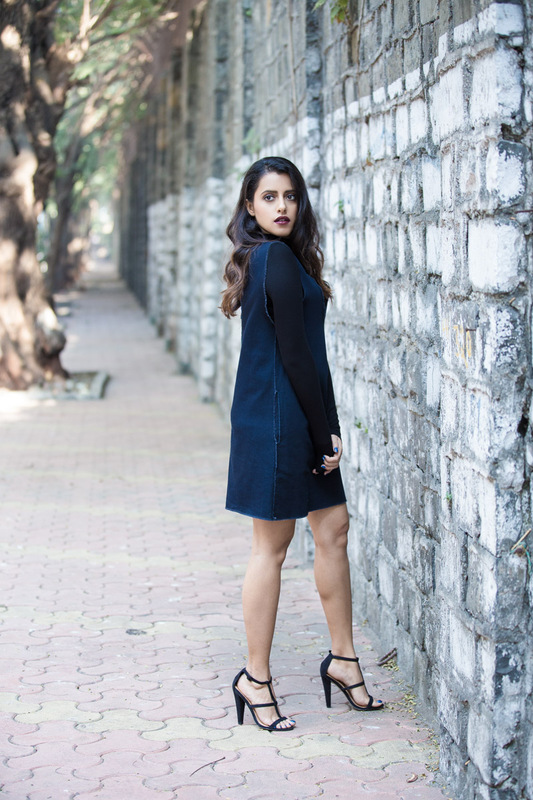 I would love to see how you style your denim dresses so write in to me on jasleen@jasleengill.com with pictures for a chance to get featured on the blog. 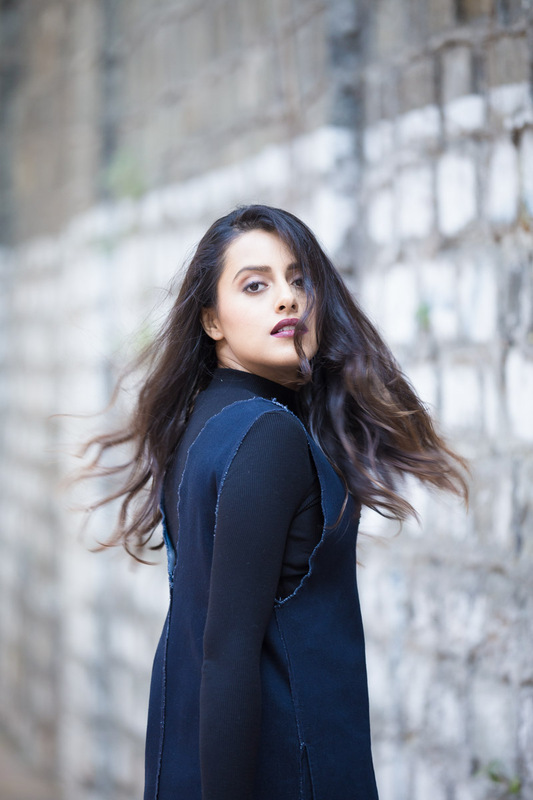 I’ll be back soon with an exciting new post, till then read my other articles on all things style, beauty and travel!